Michael Cheek is the former Chairman of Finlandia Vodka Worldwide. Prior to this, he was President of Brown-Forman Spirits, a global organization. He has been one of the most successful leaders in the global spirits drinks industry and was the catalyst for changing the company culture and developing an organization focused on growth, setting ambitious targets and achieving record results. Brown-Forman Spiritsâ€™ annual revenue is approximately $1.3 billion, and is the largest and most profitable business unit at Brown-Forman Corporation. He was a member of the corporationâ€™s executive committee and had frequent contact with the Board of Directors. He led a global sales and marketing organization of over 600 men and women with annual consumer brand investments in excess of $200 million dollars. Other recent accomplishments include, nine consecutive years of organic volume and gross profit growth in the United States on the companyâ€™s flagship brand, Jack Danielâ€™s, and five consecutive years on the companyâ€™s second largest volume brand, Southern Comfort. Prior to joining Brown-Forman, Mike was President of the Heublein Wines Division from 1988â€“1992, then the industryâ€™s second largest USA volume wine company with annual revenue of $300 million dollars. From 1983â€“1987, Mike was Senior Vice President of Marketing Operations at the Coca-Cola Company, Fountain Division, where he led the sales and marketing of the $750 million business unit and was a member of Coca-Cola USAâ€™s Executive and Operating committees. As Senior Vice President of Sales at The Wine Spectrum from 1979â€“1983, he led the introduction of the industryâ€™s most successful new brand ever, Taylor California Cellars, which grew from 1 million cases in 1979 to 8 million cases in 1982. Mikeâ€™s beverage career began in 1975 at E&J Gallo Winery, as sales manager for the central & southern USA. Prior to joining Gallo, Mike held numerous management positions at The Carnation Company including General Sales Manager Southeast, with annual revenue of $280 million dollars. He was an honor graduate from the University of Georgia Terry College of Business in 1966. 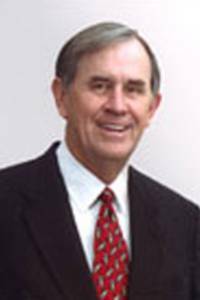 He is a member of the universityâ€™s Presidents Club and was President of the Atlanta Bulldog Club in 1982â€“1983. He is a member of the Valhalla Golf Club and served as Vice-Chairman of the 1996 and 2000 PGA Championships and the 2004 Senior PGA. He has been named a Vice Chairman of the 2008 Ryder Cup to be held at Valhalla. He also holds golf memberships at Royal Dornoch in Scotland, Collierâ€™s Reserve, Naples, Florida and Athens Country Club, Athens, Georgia.